Adam Sheldrake, a young British architect travels to Barcelona for what should be a fairly ordinary holiday. By chance, he meets a beautiful, talented, twenty-seven-year-old Italian artist, Caterina Fonteras at the Olympic Stadium and, from this point, the holiday turns into a life-changing experience for both of them. With a common interest in Antoni Gaudi, the famous Spanish architect, they visit the Sagrada Família and are drawn into a world of violent fanaticism, resulting in their capture and imprisonment. This romantic thriller, set in the year 2012 leads the reader into many twists and turns, a major threat to the Catholic faith and some quite extraordinary revelations. 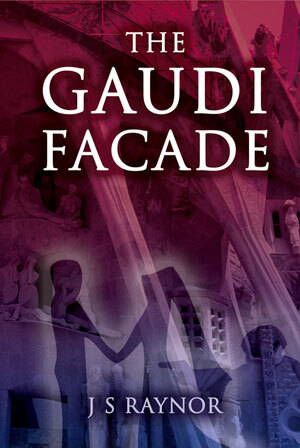 Interestingly, when I wrote this in 2006, “The Gaudi Facade” contains a reference to David Cameron being the Prime Minister, a prediction that in May 2010 came true. Also by J.S.Raynor: See All Evil | A Comfortable Death | A Chronicle of Intimacies | Who wants to be British?